Carmelo Anthony shoes have been making waves in the past few weeks, particularly the Jordan Melo M10. But in case you don’t know, a retro Melo sneaker recently hit the market. Now available is the Jordan Melo 1.5 that was made to pay tribute to Anthony’s tenth-year anniversary with Jordan Brand. This is basically the retro edition of his first-ever shoe with JB, but it should be on your list of must-buys this month. 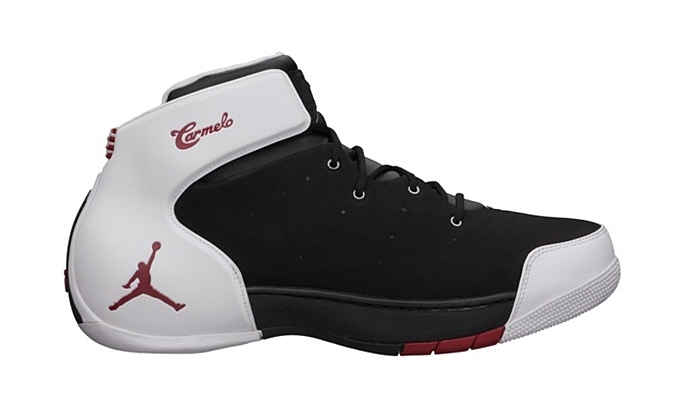 The latest edition of this model features a black-based foamposite upper part with white area near the heel along with gym red Jumpman and Carmelo branding. This is now available for just $130 each pair.